Affiliate marketing has been a backbone to internet marketing since the early 90’s. However, even after 25 years, the same legacy technology is used to power online sales today. Deploying unique links as a 3rd party while marketplaces and retailers track sales with inaccurate or broken cookie tracking methods planted in a buyers’ browser remains to be the way that 95% of online retail sales are conducted. This legacy technology has various shortcomings like merchants incurring high commission costs, setup and maintenance fee’s decreasing profit margins while black boxing data. In some cases, unscrupulous affiliates promote fake products and services to gain sales commissions from unknowing consumers. Enter Creditcoin (www.cointoken.io). Many of these frustrations led the team at Flatlay to incept the Creditcoin protocol to create the first decentralized affiliate and content marketing network allowing any third party marketplace, retailer, publisher or content creators to leverage a token based system for affiliated smart product listings and content marketing campaigns. Creditcoin (CCOIN) leverages block chain technology to ensure transparency and efficiency within the ecosystem while evolving the way online sales and marketing promotions are conducted. It benefits online retailers, brands and publishers to work together by removing the intermediaries cutting into margins on the campaigns and sales while incrementally decreasing transaction pay out times. Creditcoin (CCOIN) is currently built on the Ethereum platform with on and off chain components while independently building upon its own chain to list smart contracts that list goods or content for promotions by any 3rd party while eradicating gas costs. Each product listed on the chain leverages IPFS hashing to map the smart contract with product image, price, description and listing fee percentages associated for any conversions made. In addition to the full transparency between parties while removing centralized players that create the affiliate roadblocks of today, every purchase made through the network will allocate a fraction of the percentage back to CCOIN pool to continually increase the value of the CCOIN pool. Participants have completely secure & seamless transaction processes between customer payments & merchandise holders while affiliate pay-outs are recorded & confirmed on an open ledger with true data transparency and real-time product availability. 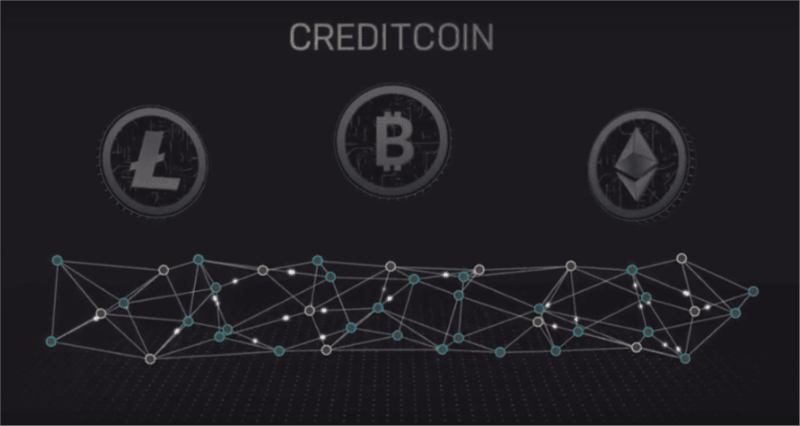 The Creditcoin protocol, with its decentralized transparent open ledger system ensures that each participant in the Creditcoin ecosystem is paid out transparently, in real-time. There is no place for fraudulent activity such as link hijacking as all the transactions are recorded on the block chain that replicates across all the nodes to ensure each smart listing is not tampered with. Fixed commission percentages are assigned to “smart product listings” so that affiliates have full transparency on earnings. With the Creditcoin protocol, fake products and services can be minimized by guaranteeing that each and every product listed is generated by an authenticated merchant, retailer or service provider through the community oracle admins. Block chain based smart product listings will deter unscrupulous affiliates to tamper with listings or from creating fake promotions about products and services. Illegal use of trade names, logos and brands is not possible when brands officially register and authenticate themselves onto the network. With all these unique features, the Creditcoin (CCOIN) protocol overcomes all the shortcomings of the existing affiliate marketing system and evolves affiliate marketing as we know it today. The CreditCoin protocol by Flatlay leverages marketplace partners like Shopify, Amazon, Rakuten, VigLink, Woo Commerce, Magento with its 3rd party marketplace associations and is now onboarding other international CCOIN adopters. The network went live on Flatlay at the end of June 2018 and will be bringing in 3rd part retailers, brands and publishers looking to leverage the system by Q4 2018.